GAUSS develops remote controlled telescope stations equipped with automatic telescope mounts, light domes for equipment storing, PCs for telescopes control and remote management. GAUSS has been involved in the international study on Space Debris in the framework of IADC (Inter Agency Debris Committee) programs and, among others, is collaborating with the Russian Delegation (ROSCOSMOS). 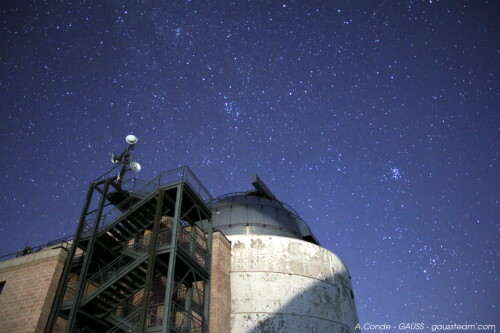 GAUSS has developed a software for object identification for telescope-captured images. 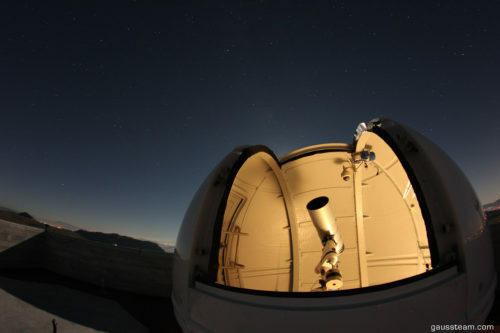 The software identifies traces in telescope images and it can distinguish between known and unknown objects. Optical surveillance of space debris has as main scope the avoidance of collisions between spacecrafts and space debris. The detection and the orbit determination of space debris through ground-based optical telescopes and radars allow researchers to prevent objects’ collisions.